It's April 27 and a quick count of my runs for the month doesn't take long. I’ve done 8. A nonchalant glance at Scott Browns Garmin account shows he’s had 26 outings! Bloody showoff I thought to myself which only masked the the sheer frustration I’ve been feeling of late. I’m drifting here! I’ve fallen off the wagon for crying out loud! Yes, I’ve been a little busy. After all, a new life in Japan does come with a rather large ‘to do’ list but that's no excuse. There’s always enough time in any day to squeeze in a run. I have to fix this I thought, I really do! It was time to register for races to give purpose to my workouts and overall training. 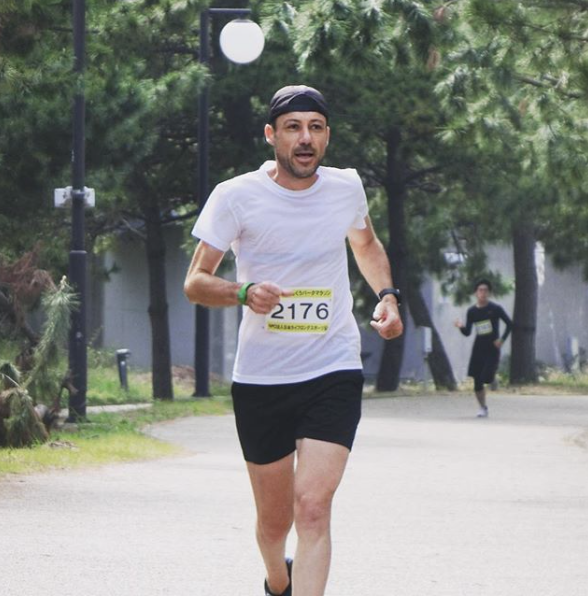 It was time to get out there once again in search of my next Everest … the sub 3.10 marathon. In New Zealand, registering for any race takes no time at all. Your place in any event is guaranteed and the thought of a ballot would just be nonsensical. Signing up with a friend or 15 is encouraged and if all else fails why not turn up on race day with a lazy $30 in your back pocket and your gym shoes and you’re good to go. 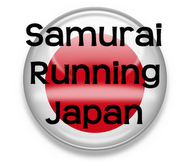 In the land of the crazy obsessive Japanese runner, ones place in any lineup is far from certain. That said, I’ve cast the net far and wide on multiple websites, distances and in areas right across Japan. I’ve even targeted my favourite marathon back in New Zealand next March to be certain of a race and to round off my February to March year. I feel excited again with new adventures, highs and multiple lows ahead. A 3.09 commands respect and a serious look at Boston don't you think? Note: the suburbs of Kyoto where we are hoping to buy a section. No shortage of trails and wide open footpaths here. Did anyone else read that piece on giant hornets in Japan? Why was I not told about this earlier…? Never compare yourself to the obsessive Scott Brown! You're not quite off the wagon - but don't drift any further or you'll be halfway to China. The 3:09 and Boston goals should keep you motivated. BTW, I'm an obsessive 'enter on the day' or at the last minute (except for City to Surf) runner, so no way could I handle all that ballot/not knowing setup. I woke up with vigour this morning Ewen! Must be that 3.09 beckoning. Fingers crossed my name get drawn a couple of times eh. Hope you are well healed mate. Looking forward to your next post.